Alyson King is a lecturer in the Faculty of Education at the University of Ontario Institute of Technology. Her research interests are in the history of women and higher education and the interplay between science and technology in society. Her current research explores concepts of modernity; looking at the creation of modern Canadian women; the roles of science, technology, and education in creating a modern Canada; and the historical uses of educational technologies in creating a modern system of education. King, Alyson. 2008. “Embracing the Modern: Edna Cress Staebler at the University of Toronto, 1926-1929”. 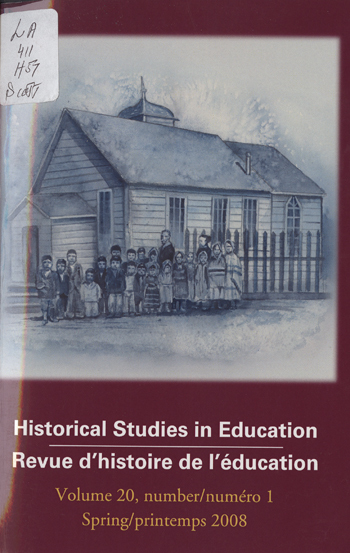 Historical Studies in Education / Revue D’histoire De L’éducation 20 (1), 69-88. https://historicalstudiesineducation.ca/index.php/edu_hse-rhe/article/view/494. Edna Cress Staebler was a fairly typical young woman when she arrived at the University of Toronto in 1926. While attending the university, she explored the new ideas and norms of the interwar era. This article examines Staebler’s experiences within the context of modernity, the university and the creation of a Canadian nation. Staebler’s university years provided the foundations for her later career as a journalist and author during which she helped to create a modern Canadian national identity.